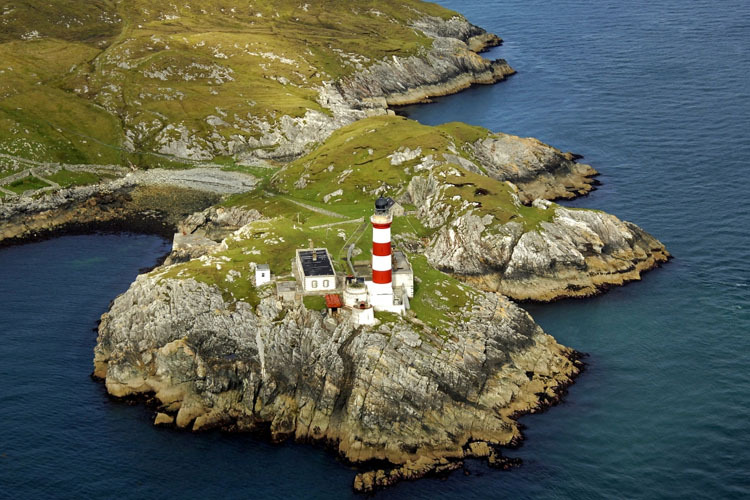 This lighthouse is on the island of Scalpay in the Western Isles of Scotland. The owner of Scalpay was approached in 1787 on the prospect of building a lighthouse here. The first lighthouse was built in 1789 and this was later replaced in 1824 by Robert Stevenson. It was one of the original four lights commissioned by the Commissioners of the Northern Lights, and the first in the Hebrides. The local community are trying to raise funds to purchase from the existing owners.